select *, DATE_FORMAT(birthday, "%b %e, %Y") as _birthday, DATE_FORMAT(died, "%b %e, %Y") as _died, MONTH(birthday) as month_birth, DAY(birthday) as day_birth, DATE_FORMAT(birthday, "%b %e") as _birth_day_month from agatti_people where agatti_people.u_name = "ronald-colman"
Shares birthday with Brian Donlevy, Kathryn Grayson, Carmen Miranda see more.. 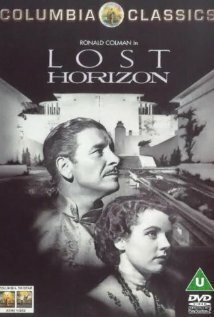 Legendary actor, Ronald Colman, was born Ronald Charles Colman on Feb 9, 1891 in Richmond, England. Colman died at the age of 67 on May 19, 1958 in Santa Barbara, CA and was laid to rest in Santa Barbara Cemetery in Santa Barbara, CA. Ronald Charles Colman was born on February 9th, 1891 in his parent's hometown of Richmond, Surrey, England. He was the penultimate child Charles Colman, a silk merchant and his wife, Marjory. Colman grew to be a bright child and went on to excel in academics at a boarding school in Littlehampton. It was there that Colman discovered his love of acting while performing in his school's staged productions. Despite enjoying the art of acting, he intended on going to Cambridge to study as an engineer. Unfortunately for Colman, however, his father's death in 1907 made that a financial impossibility. He immediately joined the workforce, gaining steady employment as a steamship clerk before being promoted to junior accountant. Despite being forced to go through he daily grind of a nine-to-five, Colman still pursued his love of acting. He joined the Bancroft Amateur Dramatic Society and quickly became one of the more popular amateur acting talents in England. At the age of 18, Colman joined the London Scottish Regiment unit of the British Army as a territorial solider. With the outbreak of World War One the regiment became one of the first to join the Regular French Army in fighting on the Western Front. Colman's time on the front lines didn't last very when in 1914, at the Battle of Messines; he was struck in his ankle by shrapnel and seriously wounded. In 1915 he was discharged from the British Army due to his injury. Due to the horrors he saw and the injury he sustained, Colman becoming increasingly anti-war and anti-violence. After being released from the Army, Colman decided to return to acting and devoted himself to his career. His efforts proved fruitful when in 1916 he appeared on the stage of the London Coliseum in the playing a black-faced herald The Maharani of Arakan. He was then noticed by Gladys Cooper who helped the good-looking young actor join The Playhouse Company, where he began acting in the play The Misleading Lady. Slowly his stature as an actor began to rise and the next year he was playing Webber in Partnership at the Court Theatre. By 1918 he was performing at the Ambassadors Theatre, playing George Lubin in the play The Little Brother. The next year he would give his first stab at the movie business with small roles in films such as The Toilers, A Daughter of Eve and Snow in the Desert. 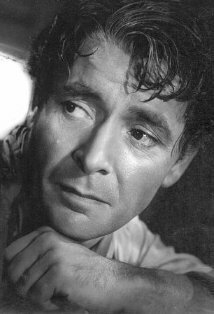 Unfortunately for Colman, none of these attempts proved very fruitful and the London Casting Bureau noted that he did "screen well. Despite his growing success on the stage, however, Colman was worried the post-war depression England was suffering might be a strong hindrance to his career and headed across the pond to New York. In 1920 Colman arrived at the Big Apple and his initial time there was not easy. For his first few months Colman took any menial job he could to support himself, while still working on his craft in his off time. He eventual found substantial work when he began touring with Robert Warwick with a small role in the play The Dauntless Three. This lead him to another touring production, this time in Fay Bainter's cross-country revival of her hit East Is West, traveling from New York all the way to California and back. Upon his return, his reputation as a stage actor had grown and in 1921 Colman made his Broadway debut in the Winthrop Ames produced The Green Goddess. He followed that up with the comedy-mystery The Nightcap. He continued his string of Broadway hits in 1922 with the Henry Miller staged production of La Tendresse. 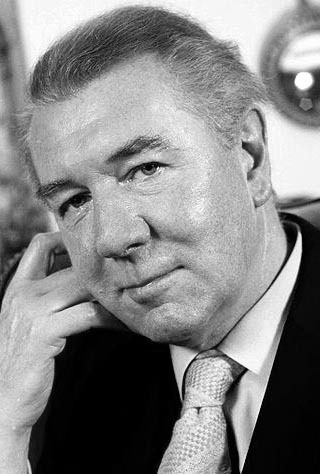 It was during a performance of that play that Colman was noticed by film director Henry King. 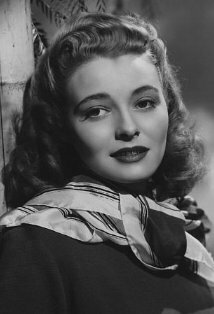 The director was looking for leading to play opposite Lillian Gish in her next film The White Sister. 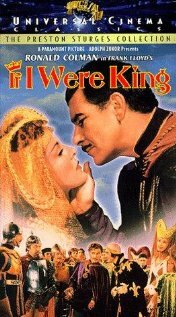 Although Colman was initially reluctant to give film another chance, King convinced him and soon the two were headed west to Tinsel Town. As the silent era came to end and talkies became all the rage, many actors were unable to make the transition and found themselves out a job. For Colman, however, the transition had the opposite effect. With a voice sometimes compared to crushed velvet; smooth, bewitching and resonant, Colman's career was only enhance by the coming of sound. In 1929, he signed a contract with Samuel Goldwyn, who cast him in his first talking picture The Rescue. 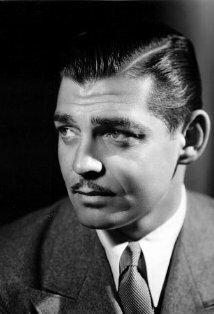 Although the film was actually the first of Colman's to lose money at the box-office he quickly recovered with two successful films: Bulldog Drummond and Condemned, both films would bring him an Academy Awards for Best Lead Actor. Colman's popularity would continue into the 1940s. He starred with Ginger Rogers in the comedy Lucky Partners in 1940 and followed that up with another comedy, My Life with Caroline. In 1942 Colman starred in two hit film. 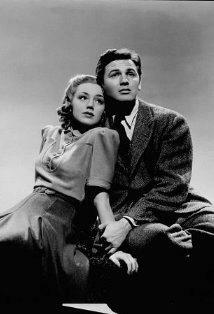 The first was the political romantic comedy The Talk of the Town. In the film Colman theory minded law professor Michael Lightcap who shacks up with action-minded political activist Leopold Dilg, played by Cary Grant. 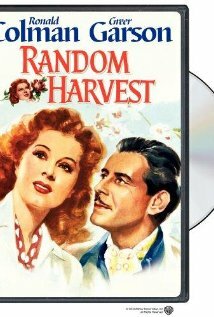 Although the two devolve a strong repartee with one another, they nonetheless end up vying for the affections of their landlord, played by Jean Arthur. The film was major hit and would gain seven Academy Award nominations. 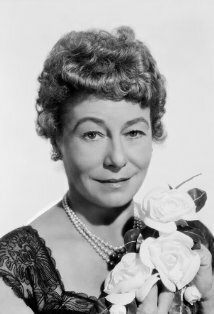 Later that year Colman would star opposite Greer Garson in the World War I era romance, Random Harvest. The film was major hit, making double its budget back at the box-office and gaining seven Oscar nominations, including a Best Actor nomination for Colman. 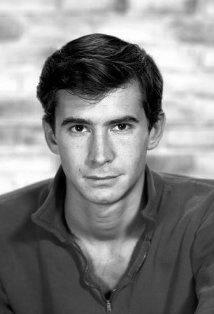 He would get his final Academy Award nomination five years later for his role as Anthony John in A Double Life. By the time 1950's rolled around, Colman's career began to slow. 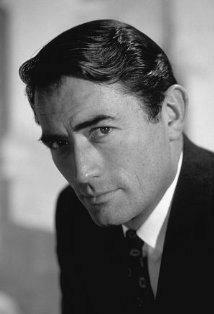 In 1950 he appeared in the film Champagne for Caesar opposite Vincent Price and Chester Holm. After that, Colman mainly acted in the medium of television for the rest of the decade. From 1953-1953 he made frequent appearances on the Four Star Playhouse. The next year he starred in his own series, the half-hour comedy shows The Halls of Ivy. In 1956 he made a return to the big screen, making a cameo appearance in the big-budget adventure film Around the World in Eighty Days as a Grand Indian Peninsular Railway Official. The next year he made his final performance in the Irwin Allen fantasy, The Story of Mankind. By this time, Colman's health was failing. He was slated to star in the MGM film Village of the Dammed but the project became was shelved. Colman would pass-away before shooting ever began. Ronald Colman died on May 19th, 1958 of acute emphysema in Santa Barbara, California. He was 67 years old. 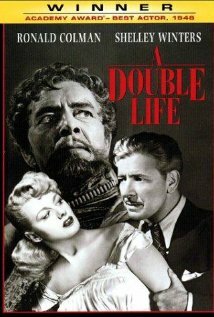 Ronald Colman was nominated for three Academy Awards, winning one for Best Actor for A Double Life (as Anthony John) in 1947. Under Two Flags (1936)? Happy Birthday, ! Beauregard Bottomley: Siyonara. Not to be confused with cyanide, which is, of course, goodbye in any language. Beauregard Bottomley: I know everything except what is commonly known as how to make a buck. Jarvis Lorry Jr.: My boy, never for a moment did I doubt your innocence. Sydney Carton: So, Mr. Lorry, respectable men of business may speak to Mr. Darnay in public, now he's acquitted. Jarvis Lorry Jr.: You have mentioned that before, sir. We men of business must think of the house we serve more than ourselves. Sydney Carton: Yes, yes. Banking, of course, imposes its own restrictions and silences. Jarvis Lorry Jr.: And, indeed, sir, I don't know that it is any of your business. Sydney Carton: Oh, bless you, I have no business. Jarvis Lorry Jr.: And if you had, sir, perhaps you would attend to it. Sydney Carton: Lord love you, no I wouldn't! Daughter Juliet Benita Colman (b. 1944). 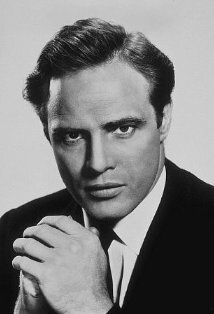 Christopher Walken (whose given name is Ronald) was named for him. His recording of "A Christmas Carol", originally released in a Decca 78-RPM set in 1941, was the first recorded version to win wide acclaim. It appeared several times on LP, and has recently (October 2005) been released on CD by Deutsche Grammophon, along with its frequent companion piece on LP, "Mr. Pickwick's Christmas".